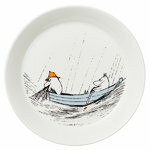 Arabia’s Moomin plate True to Its Origins is part of a tableware collection inspired by Tove Jansson’s novels Moominpappa at Sea (1965) and Moominvalley in November (1970). The first one tells the story of the Moomin family moving to a far-away lighthouse island, and the latter is the artist’s last Moomin book that she wrote after her mother had passed away. 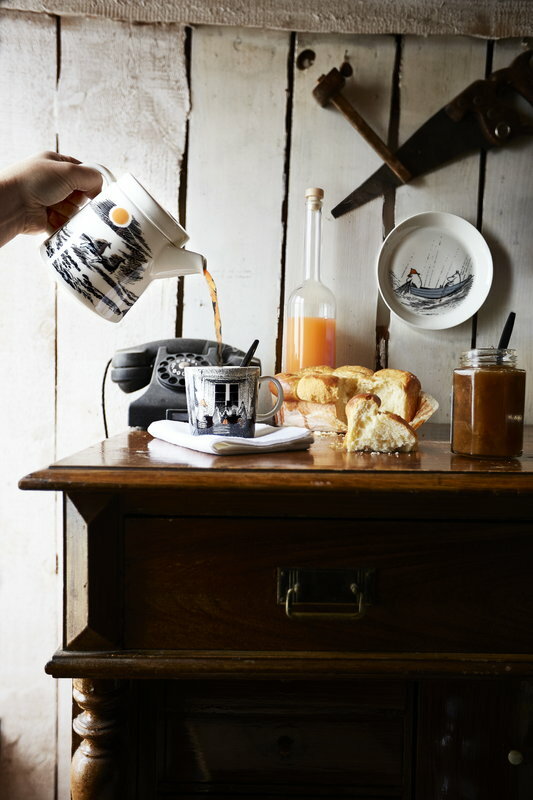 The themes of the books – longing, loneliness and turning points in life – are conveyed in the ceramic teapot, jar, plate, bowl and mug through Jansson’s beautiful, melancholy illustrations. Tove Jansson (1914–2001) is one of the most famous Finnish artists, known especially for her Moomin characters. Besides a productive writer and illustrator, Jansson was also a painter and cartoonist. During her career Jansson wrote and illustrated over ten Moomin books and about 1500 comic strips. Her best known pieces as a painter include the decorations of the Aurora Children's Hospital in Helsinki and the large frescos that nowadays belong to the collections of Helsinki Art Museum. 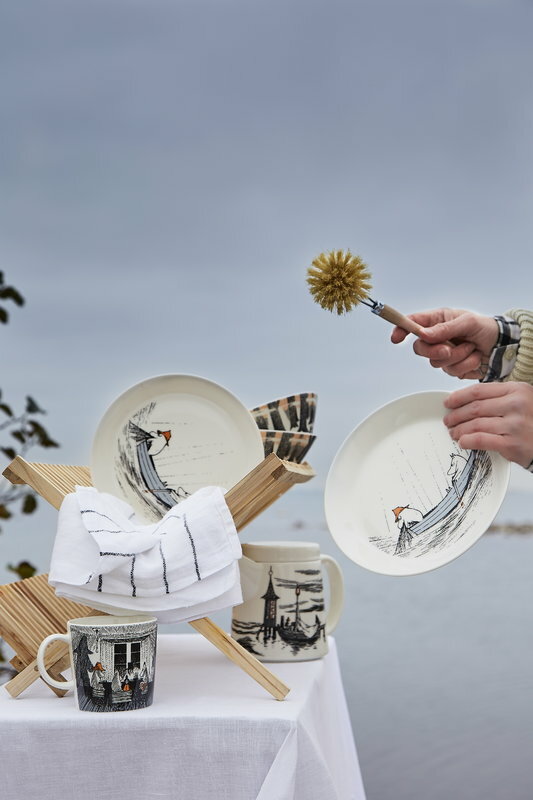 Jansson’s life was full of art since a child: she grew up in a Fenno-Swedish artist home with her parents, sculptor Viktor Jansson and graphic artist Signe Hammarsten-Jansson. Also her brother Lars worked as an artist. In the 1930s Jansson studied commercial drawing and design in Stockholm, and continued with painting studies at the Finnish Art Academy School. 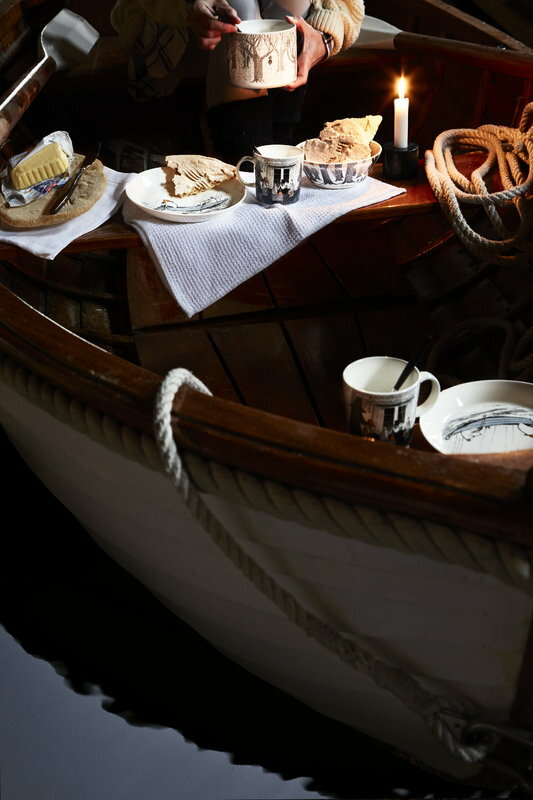 Jansson lived most of her life in Helsinki, and spent time also with her mother’s family in Sweden and at the secluded island of Klovharu with her partner, graphic artist Tuulikki Pietilä. 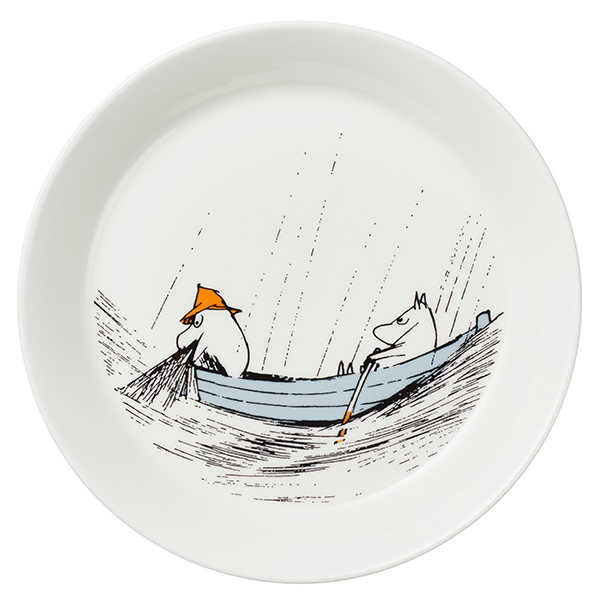 Jansson’s Moomins belong to the most beloved characters of Finnish culture. 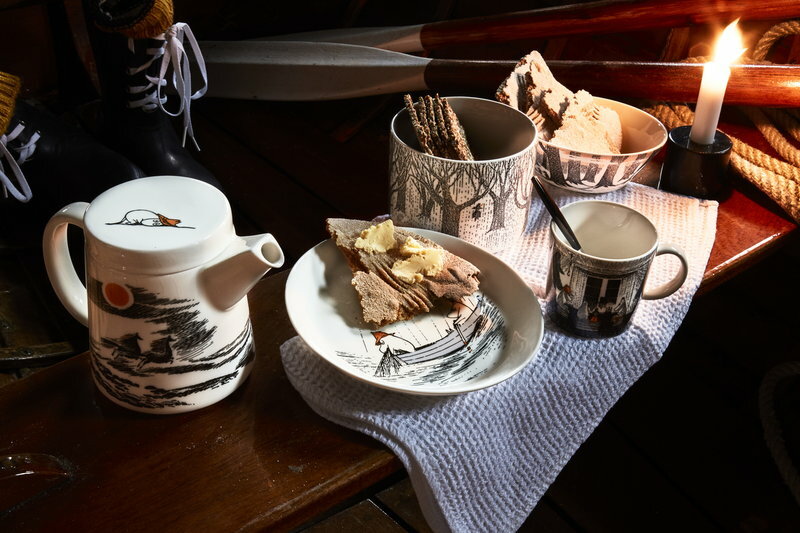 The first Moomin books were published in the 1940s, and today Moomins have found their ways to television, theatres, stamps, coins and various different products, such as Arabia’s Moomin mugs and tableware. Moomins’ benevolent open-mindedness, joyful bohemian lifestyle and deep philosophical perspective on the world have charmed both children and adults in Finland and abroad, and the Moomin books have been translated to about 45 languages. During her long career Tove Jansson was awarded with numerous different prizes, such as the Hans Christian Andersen award in 1976 and the Pro Finlandia medal in 1976. Jansson got the honorary doctorate of the Åbo University in 1978 and was named a professor in 2005.